This chapter of the Red Cross was having difficulty keeping track of volunteer applicants and was spending too much time fielding calls about available volunteer positions. Read our case study today to learn about the Inflash solution to these challenges. 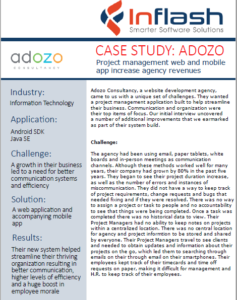 Adozo Consultancy, a website development agency, came to us with a unique set of challenges. They wanted a project management application built to help streamline their business. Communication and organization were their top items of focus. 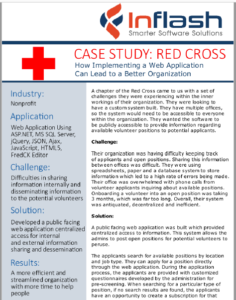 Read our case study today to learn about the Inflash solution to these challenges.